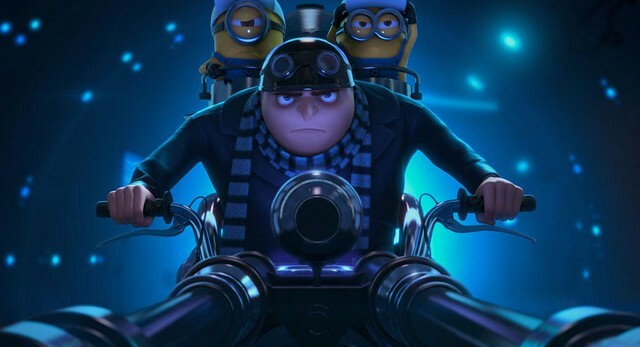 Gru and the minions are back for more mischief in Despicable Me 2. This movie was being hyped up for more than a year now with the minions being the mascots. 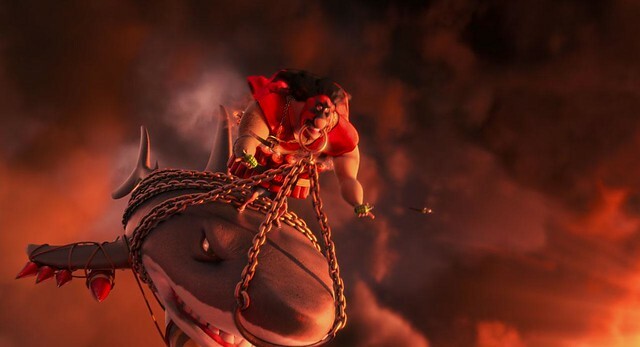 They had that banana song which showcases some of the 3D features that movie was touted to have. Being the second adventure in the series, does the movie deliver or fall flat like so many sequels? I really liked the first movie. There were so many memorable characters that were introduced: the trying hard to be evil Gru, the 3 children being the smart Margo, the rebellious Edith and the adorable Agnes, Dr. Nefario and the Apple metaphor in the villain, Vector. It was a short and fun movie that came out of nowhere. I remember watching it multiple times and having fun. So as with any sequel, I was cautiously optimistic about how this might either enhancing or ruining my impression of the series. 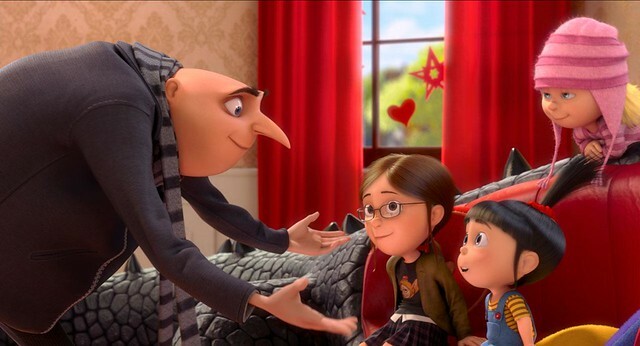 Gru (Steve Carell) has now retired from being an evil villain since he now plays a father of the 3 little ladies full time. On the other side of the world, a new villain is performing some mischief so the Anti-Villain League (AVL) commissions him to come out of retirement and solve the mystery since he knows how a villain thinks. Along the way he meets new characters like his AVL partner, Lucy. The existing cast are mostly still here and everyone plays their role the same way as the first so that’s a good thing. Steve Carell as Gru and Russel Brand as Dr. Nefario are still themselves. I really like Gru’s character from the first and I like him even better here on the second one since it shows a different side of him when he interacts with his partner Lucy. The kids don’t really get much screen time in this movie and they are exactly the same as they were before. Now for the new characters. Lucy, played by Kristin Wiig who played the adoption agency lady’s voice in the first one as well as the star in Bridesmaids, played the character really well. I really like this new character. The other new character is Eduardo who is played by Benjamin Bratt who has done appearances as Gloria’s ex in Modern Family, I also liked. 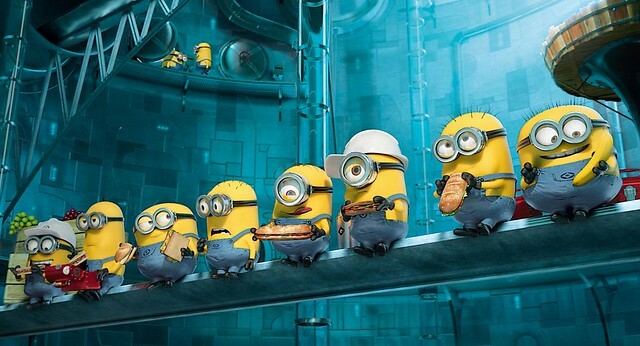 The main attraction for the movie are the minions. They are really fun to watch while they move around and make silly voices. Same old voices which is fine. The thing about movies for kids is that there is really no story. No twists, no surprises, nothing. You watch the trailer or a preview and you know what you’re getting. That’s not necessarily a bad thing. It’s still fun to watch how Gru tackles the challenges of balancing his personal life, his 3 kids, his professional life and the people around him all at once. I watched this movie on an IMAX screen and the 3D was good. It’s really key in general when watching 3D movies to get good seats else it really ruins the experience. Despicable Me 2 is a fun movie to watch with the family especially if there are kids involved. The characters you know and love are all still here. Lucy is a nice addition to the roster. The story is good and enjoyable. What I didn’t like about the movie is that there is a blatant overexposure of the minions. I felt that too much time was spent focusing on them messing around instead of just telling more story. Since it’s also more of the same from the first, it doesn’t really do much. I will say that the good definitely outweighs the bad. I walked away from the movie happy. It’s safe to say that if you enjoyed the first movie, then you’ll also like this one. Despicable Me 2 is from Illumination Entertainment and distributed by Universal Pictures and Solar Entertainment here in the Philippines. Showing in theaters July 3.